Venetoclax (Venclexta) monotherapy induced an overall response rate (ORR) of 60% in patients with poor-risk relapsed/refractory mantle cell lymphoma (MCL) previously treated with a BTK inhibitor. Of the responders, 20% had a complete response (CR), according to results presented at the 2018 European Hematology Association Congress. 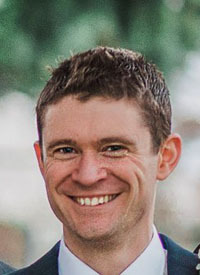 Toby Eyre, MBChB, MRCP, lead author of the retrospective study, said that among recent advances in MCL, there remains an area of unmet need for those who relapse after receiving treatment with a BTK inhibitor. Overall survival (OS) for patients with relapsed/refractory MCL remains at 2 years, he added. The UK Medicines and Healthcare Products Regulatory Agency compassionate use scheme was used in this study to identify 20 patients who had failed BTK inhibition therapy. These patients then received monotherapy with venetoclax, efficacy data of which had never been collected in the post-BTK inhibitor setting, investigators noted. The median progression-free survival (PFS) was 3.2 months and the median OS was just over 9 months with venetoclax monotherapy in this population, according to Eyre. He added that the agent was well tolerated. In an interview with OncLive during the meeting, Eyre, a consultant hematologist at Oxford University Hospitals NHS Trust, discussed the results with venetoclax in this population of relapsed/refractory patients with MCL. OncLive: Can you please provide an overview of this study? Eyre: These data came from the compassionate use scheme in the United Kingdom—it has been a collaborative effort putting together this data set. This was in a time when venetoclax was being developed in chronic lymphocytic leukemia (CLL) and non-Hodgkin lymphoma, and AbbVie provided a free-of-charge drug for patients with relapsed/refractory MCL. It just so happened that across the board in the United Kingdom, the patients collected had received a BTK inhibitor. The majority had received ibrutinib, but some had received other BTK inhibitors in clinical trials, and 1 post-allogeneic stem cell transplant. It is well known in MCL that the relapsed/refractory prognosis is poor. There is an OS of approximately 2 years, even with the addition of BTK inhibitors and other novel therapies. There remains an area of real unmet need with regard to the [therapeutic] approach after BTK inhibitor relapse. There are a few data sets outlining this, the majority of which show generally quite poor responses to chemoimmunotherapy. We have collected data on 20 patients, and the response rate is 60%, with a CR rate for 20%. Unfortunately, the PFS is still fairly limited at just over 3 months and an OS of 8 to 9 months. There is still clearly work to be done, but the drug was very well tolerated in a very difficult-to-treat population. Compassionate use schemes often give rise to patients in pretty dire states. If you look at the baseline characteristics of this study, all of the patients had quite poor-risk clinical features—poor risk in terms of PFS to the previous BTK inhibitor, which is only 4.8 months. Are there any next steps following these findings? As we know, venetoclax has been extremely successful in patients with CLL, and there are trials ongoing in combination with BTK inhibitors. The case now in MCL is that the previous phase I study with venetoclax showed an ORR of 75% with a PFS of just under 14 months. Interestingly, [this is] very similar to ibrutinib. There are some in vitro data and some cell line data looking at the potential synergy with the combination. Recently, Dr Constantine Tam from the Peter MacCallum Cancer Centre published data on the combination in a small number of patients, showing good efficacy and a high CR rate on PET and high minimal residual disease negativity. The natural next step is to combine [venetoclax] with a BTK inhibitor, and that is being done in a large international randomized study. This is an interesting and important trial to look out for. We don't know what the tolerability of that combination will be; we assume that it will be good, but recent data on the tolerability of BTK inhibitors in the real world has not been as good as we hoped for. It has certainly raised some questions regarding the tolerability of BTK inhibitors. There are some overlapping toxicities, such as diarrhea, cytopenia, and neutropenia. We will have to see about the tolerability in the relapsed/refractory setting in MCL. If the combinations are not tolerated, then sequential therapy may be required. In that case, these data may become more relevant. What is the prevalence of BTK inhibitor resistance in this population? Initially, there is a resistance rate of about 30%. If you look at the ORR with ibrutinib monotherapy from the phase II pivotal study, the response rate was 68%, with a CR of 21%. By definition, there are just are just over 30% of patients who are not responding in the initial phase. The PFS of just over 1 year suggests that a lot of patients are relapsing. Within 1 or 2 years of BTK inhibitor therapy, the majority of patients will require another line of therapy for one reason or another. Although BTK inhibitors are excellent agents, there is still a real area of unmet need. Of course, the area of unmet need shifts when a new agent comes along and is used in a widespread fashion. What is the take-home message from this study? It would be fair to say that although the response rates are perhaps better than chemoimmunotherapy in this setting, the PFS rate in this study was not as good as we had hoped. There is clear efficacy in the post-BTK inhibitor area, and this is the first time this has been demonstrated. Although venetoclax does not have [an indication] in this area, it certainly demonstrates a proof-of-principle outside of just CLL. Venetoclax has efficacy in diseases that are resistant to BTK inhibitors. That is an important factor. In terms of the PFS, it is similar to chemoimmunotherapy, but perhaps in a less toxic way. Clearly, these patients coming through a compassionate use program in the United Kingdom were heavily pretreated. Eyre T, Walter H, Iyenger S, et al. Efficacy of venetoclax monotherapy in patients with relapsed, refractory mantle cell lymphoma post BTK inhibition therapy. In: Proceedings from the 2018 EHA Congress; June 14-17, 2018; Stockholm, Sweden. Abstract S855.